Simon Amies, Pattonville School District Webmaster and leads the youth garden at the Pattonville School District’s Learning Center. 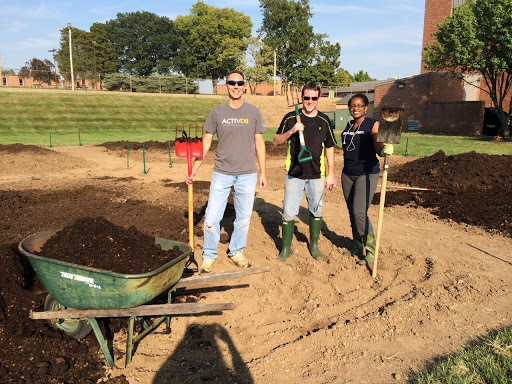 After joining the Pattonville School District team, Simon Amies, an avid gardener with vegetable, berry, and herb gardens at home, noticed the absence of community and school gardens in the northwest area of Saint Louis County. He approached the district with the idea of putting in a youth garden at the district Learning Center. They not only approved the project, the district supported it with the installation of a sturdy perimeter fence, irrigation infrastructure, and a tiller that the district owned but had been gathering dust in a garage. Gateway Greening donated compost and trellises, and Simon’s Pattonville co-workers helped till the garden its first year. The Pattonville District Garden is a great example of community members coming together for a common goal. 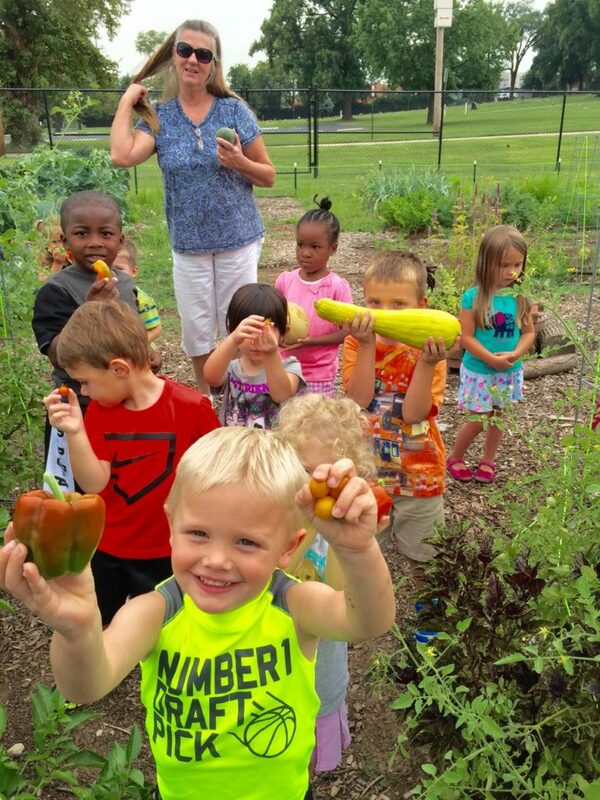 Since its creation, the garden has developed strategies for engaging people throughout the Pattonville community. 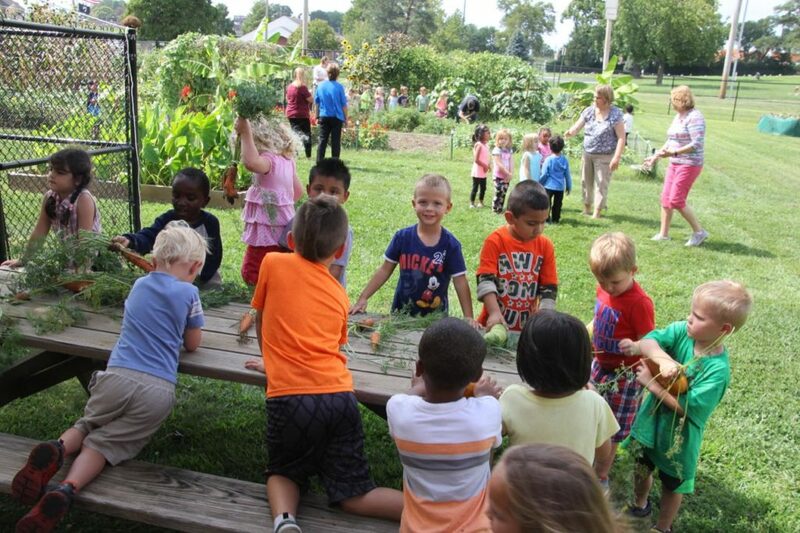 The district, community, Chartwell’s food services, and Gateway Greening continue to play a large role in the success of the garden. In previous years, the garden has hosted annual seed swaps, seedling sales, gardening classes for community members, and community garden tours. The produce from the garden is used in school lunches, and Chartwell’s has conducted a series of veggie tastings with the students. Kohlrabi went from being an unheard of vegetable to one of the kids’ favorites – especially if it’s dipped in ranch dressing! Even the local Starbucks donates coffee grounds each day. In the district, Simon’s main “thing” is technology, and he enjoys teaching the connection between science, technology, and gardening. He uses problem-based learning to provide students opportunities to use science to tackle an obstacle in the garden. For example, one class used a raspberry pi computer to create a web-based sprinkler application for the garden that uses weather forecasts and past rainfall data to adjust watering schedules. The application also allows the garden to be watered from any location. Pretty cool! Having tangible results, like seeing the garden being watered by a system they created, inspired students. Simon wants to increase gardening across the district and make it easier for other teachers to incorporate the garden into their classroom. A new, exciting project at the Pattonville Learning Center is the installation of a large, glass-fronted refrigerator near the front desk. During the growing season it will be stocked with excess garden produce to distribution to school families in need and to encourage healthy eating in the district. Simon’s advice to other school gardeners: You need support! Ideally on an institutional level, but support from anywhere you can find it is extremely beneficial. Build relationships with people and find ways to work with people on their level.